Back in 2014, lifestyle brand ModCloth, which specializes in body-inclusive retro-infused apparel, was the first and only retailer to sign the "Heroes Pledge For Advertisers," which promised to not augment the bodies of their models on its website or advertisements. Around the same time, American Eagle's loungewear offshoot Aerie similarly pledged to stop airbrushing images of their models. 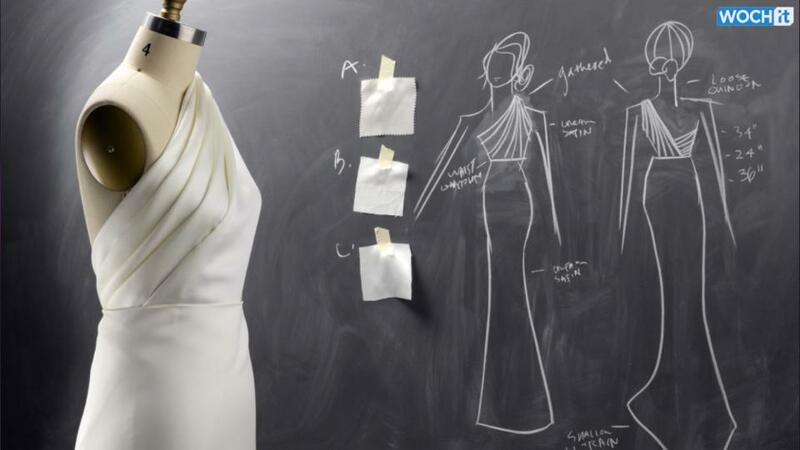 For both companies, the benefits have been huge, with Aerie reporting a double-digit increase in sales and ModCloth reporting only positive results, from their sales to their customers' reactions. "As a culture, we're choosing which media we consume," ModCloth's founder, Susan Koger said in an interview. "It's not all controlled from the top down like it used to be. We want to see true beauty. We want to see reality." 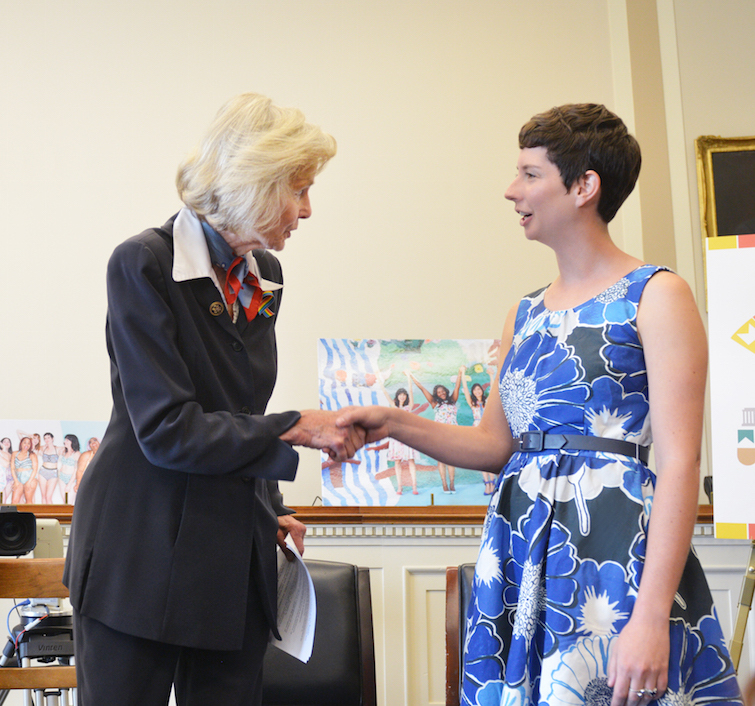 Now, it's ModCloth yet again further progressing the anti-airbrushing debate — and this time they're taking it all the way to Washington, D.C.
On Thursday at the Rayburn Office Building in Washington, D.C., Koger and a number of fans of ModCloth and its mission met with the legislators behind the Truth in Advertising Act. The bill, which was first proposed in 2014, asks for the Federal Trade Commission to not only report the businesses that frequently alter images of people, but to develop a framework with which to deal with and regulate the advertisements that significantly change a person's image through image-altering techniques, i.e. Photoshop. Over the past few years, the bill has languished in Congress, largely because, as Koger puts it, it was deemed as not that important. When the bill was initially proposed, there was a rally on Capitol Hill, but nothing (and no votes) came of it. There was also a Change.org petition, which earned 42,000 signatures while falling shy of its goal of 50,000. "I think that it's easy for people to look at it and question how helpful would it be," Koger said. "People should know better. I could imagine that it's easy for our lawmakers to not be able to devote the time to make this happen. This conversation's continuing to happen around the world. As we see more and more studies these sorts of ads can be, eventually I'm hoping we can take some action now." But for Koger, now is the time, especially given the response both ModCloth, Aerie and the anti-digital alteration movement as a whole have been given. The U.K. has at the very least addressed the movement on a larger, government level, with a bill proposed by British members of Parliament all the way back in 2009 that proposed to ban digital retouching in ads directed toward children altogether, and while that bill basically disappeared, plenty of altered ads are swiftly banned by the Advertising Standards Authority each year in the U.K., including many for beauty products targeted toward young people. Meanwhile, magazines released in the United States are frequently called out for digitally augmenting the models on its pages. Over the course of the last few months Zendaya, Lena Dunham, Gigi Hadid, Kerry Washington and Victoria Beckham (among others) were all victims of being digitally altered by a magazine. All of this has gone down while many a study reveals just how harmful altering images is for young people, with a reported 78% of girls being unhappy with their bodies by age 17. To that end, Koger and the representatives who initially sponsored the bipartisan bill, including Rep. Ileana Ros-Lehtinen (R-FL) and Rep. Lois Capps (D-CA), gathered on Thursday in hopes of, at the very least, sparking the conversation on the dangers of Photoshop yet again on Capitol Hill, and encouraging a vote on the bill. "For me, it's raising awareness," Koger said. "Getting our community involved, showing that they can be a part of this and giving the representatives in Congress the sense that there is support in the fashion industry to see this come to a pass." Although she admits that the bill won't be easy to pass (even though it does have bipartisan support) or even get a vote on, she's not letting that quell ModCloth's overall confidence with how the future of fashion and advertising is represented. "If anything, it's going to take a lot of voices. As a non-politician in this world, that's how I believe the system works," Koger said. "I think it will, and this fits along with lots of changes in how we consume media, and see true diversity. It'll hopefully allow men and women, as they're consuming advertising, to not feel like they're lacking. That they're not enough." To ensure that as many voices are being heard as possible, ModCloth is encouraging fans of the bill and brand to write to Congress about their personal journeys with body acceptance. Then, Koger hopes Congress will be closer to understanding why it is so important for young people to feel comfortable in their bodies. 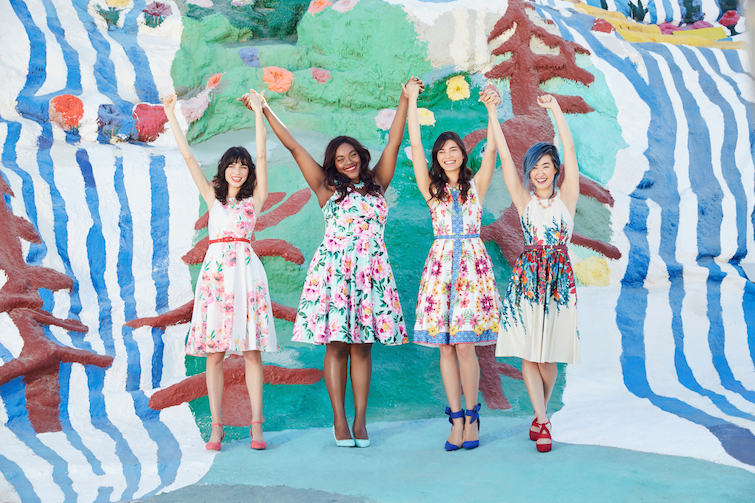 "At ModCloth, our mission for our customers is for them to unleash the best visions of themselves," she continued. "This legislation would help everyone feel [just that]."